This open letter was originally published on August 6, 2010 in response to the Senate's failure to pass climate legislation. Please share it widely and you haven't already, consider making a generous tax-deductible donation to 1Sky, then tell your friends and family to do the same. -- Gillian. As we find ourselves surrounded by the tatters of the climate debate in the U.S. Congress, it seems fitting to take a moment to step back and ponder where we go from here. While the blogosphere is buzzing with assignments of blame for the failure of the Senate to act, we are much more concerned about how we move forward with urgency and clarity of purpose. Unfortunately, we do not have the luxury to pack our bags and go home as the Senate did only moments ago. We just staggered through the hottest six months in recorded history worldwide. People everywhere are being impacted by the damage we have done through decades of carbon loading, and it is clear that our ailing planet will not sit idly by as our political leaders have done. 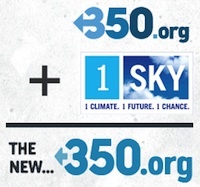 In reflecting, we find ourselves returning to the founding principles of 1Sky when we formed in 2007: We must redouble our efforts to unite American society across all divides in an unyielding call for action on the scope and scale of the enormous challenge and opportunity we are confronting. We are galvanized by the understanding that the political, human rights and economic repercussions of climate change transcend the ‘environmental issue’ label, and present a nation-wide challenge requiring a unified response. 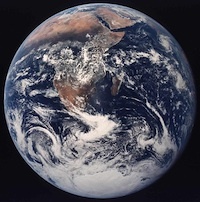 As United States citizens, we understand our moral and ethical responsibility to act with resolve – both as members of a global community, and as the leading per capita emitters of global warming pollution. We must succeed in building a nationwide movement that changes the politics of what is possible to deliver what is necessary; our very lives depend on it. Reduce global warming pollution at least 35 percent below current levels by 2020, and at least 80 percent by 2050. Create 5 million green jobs and pathways out of poverty by rebuilding and refueling America with a comprehensive energy efficiency mobilization including immediate investment in a clean-energy infrastructure. Re-power America by imposing a moratorium on new coal plants that emit global warming pollution and replacing dirty fuels such as coal and oil with 100 percent renewable energy. But what lessons can we learn from the last three years, years in which the advocacy for action on climate change was better funded and coordinated than ever before? We all had high hopes, and the debate was closer to center stage than it has ever been. But in the end, we are left largely empty-handed. We feel it is imperative to pause, ask tough questions about what went wrong and why we as a community failed to achieve our aspirations, and – more importantly - to look carefully at what is most needed given the new legislative and political landscape. Toward this end, we are holding a retreat in mid-November with key allies, organizers, 1Sky staff and board, but also with leaders from other sectors to help us see in fresh ways, and to explore what role 1Sky can best play as we move into the next chapter. 1. We need to redouble our investment in grassroots movement building. Climate and energy advocates were better funded and coordinated than ever before, and yet we were unable to convince reluctant policymakers to take action to prevent global warming and jumpstart a clean energy economy. Donors invested unprecedented amounts of money in the climate and energy debate, including paid advertising that elevated grasstops voices from the military, business, and faith communities. However, we feel strongly that a longstanding and damaging underinvestment in grassroots organizing severely crippled our ability to move policy forward. Swing politicians routinely claimed that they simply were not hearing enough from their constituents in favor of climate and energy reform – and in the summer of 2009, the calls opposing action on global warming in the House of Representatives reportedly outnumbered the calls in support of it by margins of more than 10:1. This chapter of climate and energy advocacy was marked by an unprecedented “professionalization,” with new resources underwriting polling and campaign-style infrastructure that served many important purposes. We need all of it and much more for the next battle. Until or unless we have a cohesive fabric at a local level throughout the country, woven together from citizens, organizations and businesses that are passionately committed to preserving our future, we will never elect politicians who share our commitment, or win policies that deliver solutions at the scale of the problem. The Global Day of Work on 10/10/10 is a good opportunity to converge. Of course this is not work that can be completed overnight – it requires years of work and deep, patient investments of time and resources. And it requires new thinking, strategies and tactics to engage communities. This is not just about getting to 60 votes in the Senate as we all know; our legacy must be a strong and enduring grassroots movement, powered by passion and conviction to the ongoing fight of our lifetimes. That is what we are redoubled in our efforts to create with the 1Sky campaign. 2. President Obama and the White House failed to lead on climate and energy with the fierce determination required to tackle a challenge this big, and the environmental community failed to publicly demand the leadership required. From our perspective, the environmental community and others concerned with climate change failed to put sufficient pressure on President Obama and the White House. Perhaps this is understandable given their historic relationships with the party that has delivered a majority of the environmental reforms for our country, but it did not serve us well in this debate. Our president is leading a deeply divided country and Congress, and while he undoubtedly “gets it” when it comes to the imperative to take action, he was surrounded by strategists who doubted the wisdom or the feasibility of winning on this issue. We simply never made a strong enough public case to change their minds, and as a result we did not get the leadership demonstrated by the White House in the health care and regulatory reform debates. 3. In order to win over American minds, we have to talk about global warming and the transition to a green economy. We were all counseled again and again that the polls mandated a message focused on jobs, energy independence, and national security. We were warned repeatedly by highly paid consultants and well-funded studies that discussion of global warming or the climate crisis was unproductive. But we reject the “either/or” dichotomy, and maintain, as our founding 1Sky principles above suggest, that we must be clear about the planetary emergency we are facing even as we emphasize the economic opportunity of investment in a clean energy economy. During the course of the last three years, as organizations adopted the clean energy economy emphasis, we saw our opponents make steady headway in their ongoing and deliberate disinformation campaign to suggest that there is credible debate about the science of global warming. We left the science of global warming flank largely undefended, and we are paying the price as polls suggest decreases in the percentage of Americans who are convinced that global warming is an urgent problem that we must address. We have to reclaim the debate on the science, clearly and with conviction, before it is too late. At the same time, we have to redouble our efforts to explain and demonstrate why an investment in a clean energy economy is critical to our future. We need to make real federal investments in energy research and development to help drive down the price of alternatives. For too long, we have fought this fight on terms set by our opposition. We must change the frame and tell the truth in a way that empowers and ignites an irrepressible citizen’s force for change. 4. We must negotiate from a position of power in order to build our power. Compromise is ultimately essential, but we believe a far more ambitious opening stance and aggressive advocacy throughout would have served our cause better. From the beginning in the House of Representatives, the debate was framed and it became an alleged foregone conclusion, for example, that we had to trade away enforcement of existing Clean Air Act provisions against leading sources of global warming pollution in order to obtain a cap on global warming pollution. While it is important and necessary to get industry on board, from our perspective, our opening posture reflected and ultimately reinforced our lack of power. At each step, we seemed ready to give more away, which made it increasingly difficult to sustain strong and unified public demand for action. Rarely did we stand firm until the final battle when everyone converged in defense of the EPA. Time and again throughout this debate, our political leaders were assured that “we” (meaning the environmental community as a whole) would take what we could get – even when it became increasingly unlikely that it would represent even an incremental step in the right direction. In a similar vein, we believe we should encourage open and frank discussions amongst members of our community with varying viewpoints on tactics and strategy. We should seek consensus where it is available and stand strong and undivided together, even as we discuss and use our differences to our strategic advantage wherever possible in the debate. Too often, those who pushed for more ambitious agendas were vilified. We tired of hearing “don’t let perfect get in the way of the good” when the good was long gone in the process. We have made steady progress in this area, but we need even more openness, dialogue, debate and transparency among us as a community if we are to succeed. In addition to a Capitol Hill glutted with lobbyists, the pocketbooks of most politicians are lined with campaign contributions from coal, oil, gas and utility companies. Click here to see Oil Change International’s map of oil company contributions to members of Congress, just by way of example. And, to make matters worse, the Supreme Court recently decided Citizens United v Federal Election Commission, 558 U.S. 50 (2010) holding that corporate funding of independent political broadcasts in candidate elections cannot be limited under the First Amendment. The ruling opens the door to unfettered corporate influence during the forthcoming mid-term elections, as fossil fuel fat cats can disguise themselves as ‘citizens for a greener future’ and frame the national debate over the airwaves. Hasn’t the time come for a broader, cross-sectoral collaboration to contain the force of money in politics? And while we’re at it, isn’t the disfunction of the filibuster in the Senate worth a more rigorous debate? 6. The international dimensions of the climate crisis are more critical than ever. Millions of vulnerable people all over the world are being hard hit by the effects of global warming, through no fault of their own. Their ecosystems are suffering and being eliminated and, perhaps not surprisingly, 2009 witnessed the biggest global mobilizations on climate change in history. International Energy Agency projections that virtually all emissions growth will be in developing countries and that China may emit more than the rest of the world combined in 25 years highlight the need for attention on several international fronts, including: (1) the ongoing internationalization of our movement, (2) a more robust strategy to bridge the global energy technology gap to provide and deliver de-carbonized energy to 1.5 billion people without energy, and (3) follow through on the significant climate finance commitments by the United States and others made in Copenhagen and an ongoing focus on the need for a fair, ambitious and binding global deal to reduce global warming pollution. We offer these thoughts humbly as renewable fuel for thought. Do you agree or disagree? What are your key takeaways? Please join is in a conversation here. Clearly none of us have the answer or we wouldn’t be in this fix, but we believe that we can and we must do better. *All members of the 1Sky board join this letter in their individual capacities, rather than on behalf of other institutions with which they are affiliated.